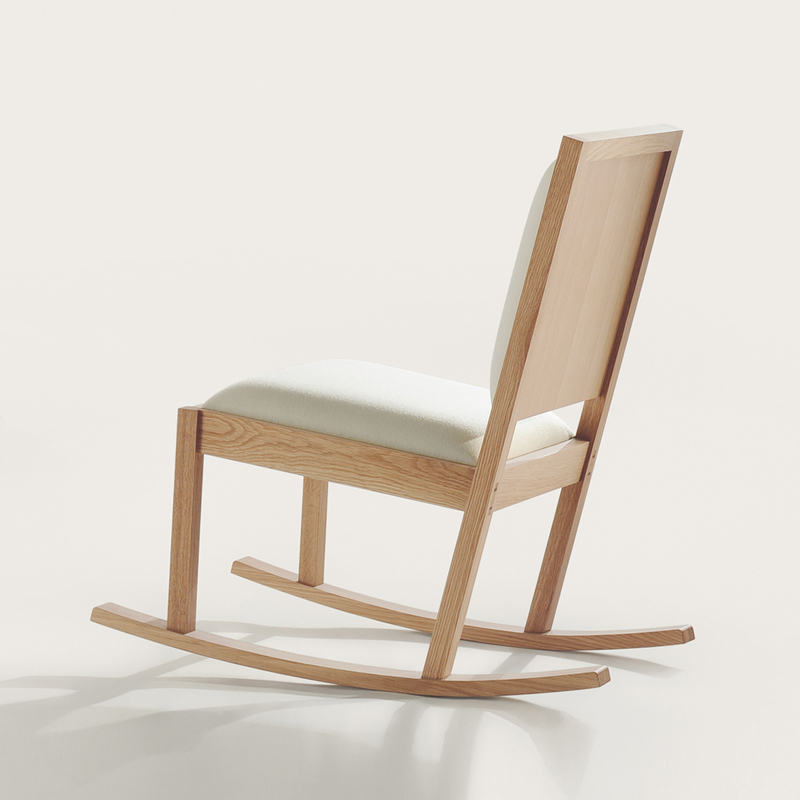 This simple rocking chair design is shown in two sizes, single and double. 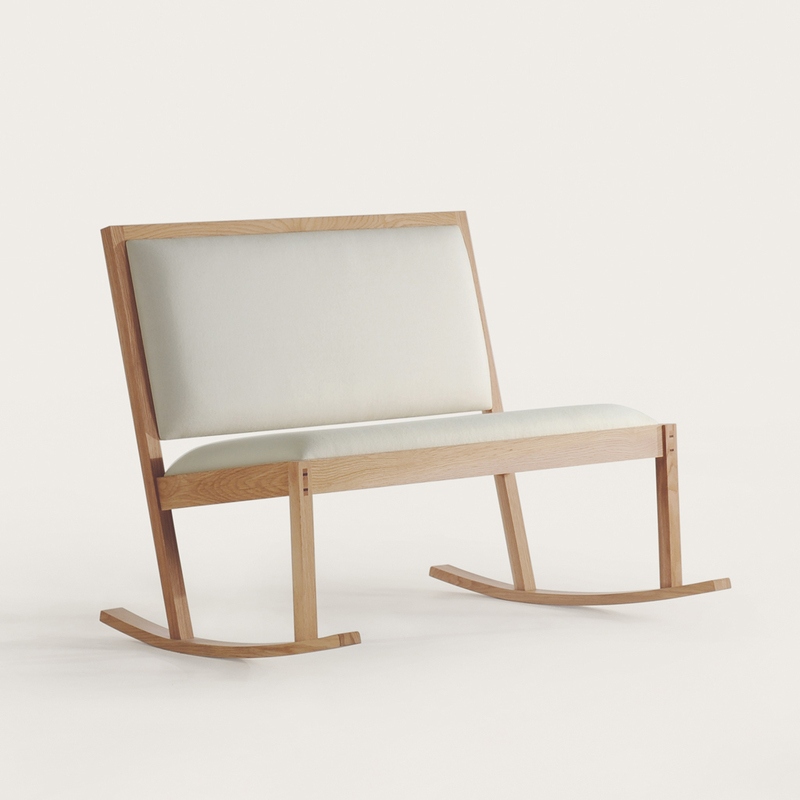 The frame is made of solid wood, with angled legs on ‘ski’ rockers. 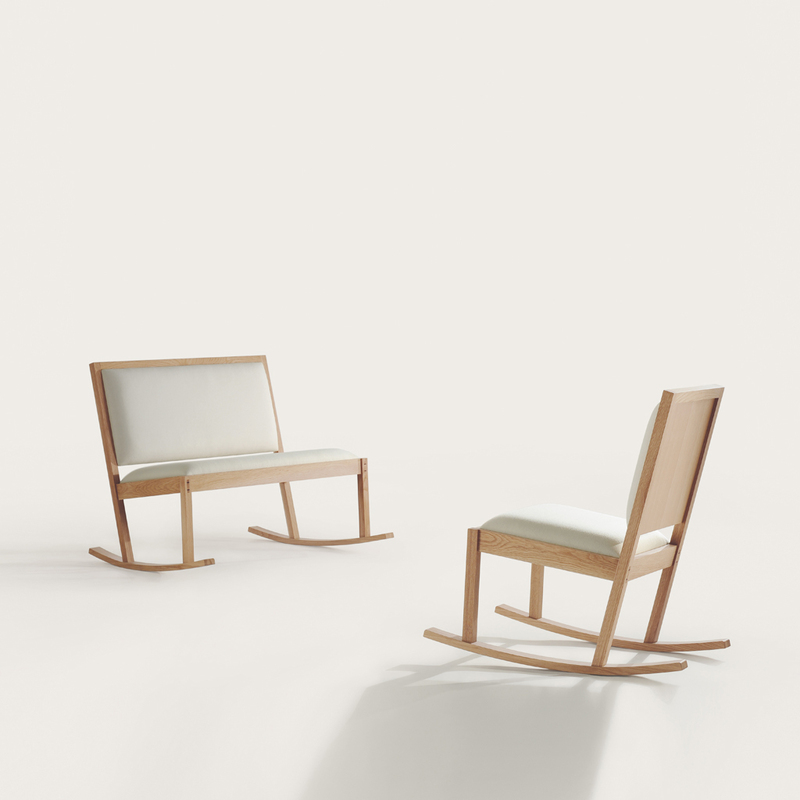 Shown in American white oak. Made to order with customer’s choice of wood and fabric.